Sometimes I feel like my hair is way to short for some styles. That's saying something, since my hair really isn't short at all. But there are some things it's just not long enough to do. 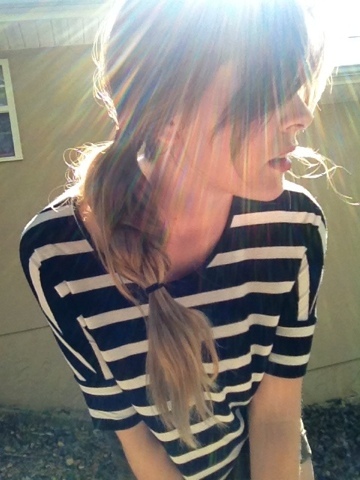 Like the boho side braid. Honestly, you may have already thought of this. It really isn't innovative at all. 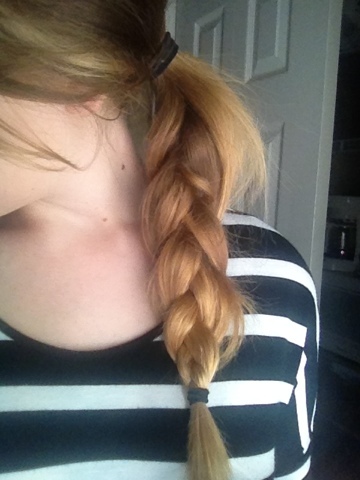 Basically all I did was pull my hair back in a low ponytail, braid it, secure the braid, and then rough it up. The top elastic keeps your layers from falling out so that you get a messy look without your hair going nuts and all falling out of the braid. I'm a fan! 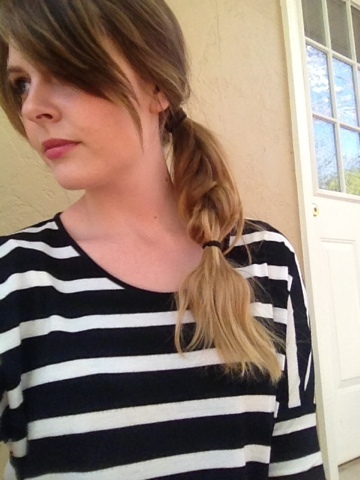 It's super easy and a little more interesting than a plain ponytail.